Should I settle my New York Workers’ Compensation case? One common concern for clients who have been injured on the job is whether they should settle their Workers’ Comp case. Section 32 of the New York State Worker’s Compensation Law provides for full and final settlement of a Worker’s Compensation case including the closure of any and all issues, usually for a lump sum payment. The right to medical treatment in New York never ends. However, with a Section 32 agreement, that right and the right to weekly payments can be terminated for a lump sum payment. Because New York now restricts the number of years and the amount that a person may receive workers compensation indemnity payments, oftentimes it makes sense to close a case with a lump sum payment. There are many reasons that people decide to close out their case, but the most common is that the person no longer wishes to be responsive to the workers compensation carrier and is ready to move on with their life. While there is no right to close a case out with a Section 32 agreement, both the insurance company and the injured worker can benefit from settling the case. To close out a case, the settlement requires all parties to come to an agreement as to the amount of compensation due not only for the value of future indemnity payments, but also the value of future medical, which is usually included in the settlement. Many insurance companies will not agree to close out the indemnity portion of the case without closing the medical side as well. Every claimant in the New York State Workers’ Compensation system has to decide for themselves whether or not they wish to close out their case and particularly their right to medical treatment. An attorney experienced at handling Worker’s Compensation cases can assist the injured worker in deciding whether or not closing out their case is appropriate in their situation. Settlement of the Worker’s Compensation case is not guaranteed, and often times does not make sense. The injured worker becomes financially responsible for their care. It is possible that the person may eventually be picked up by Medicare, or a private insurer, but there is no guarantee that this will occur. If you have an open New York Workers Compensation case and wish to have an attorney advise you whether or not settlement is appropriate, please contact the Snyder Law Firm at 315-451-3040 for a free consultation. One thing that I have noticed during my career as a New York Workers’ Compensation attorney is the high rate of incidents involving nurses with back injuries. One may not immediately associate back injuries with nursing, but one need only stop to think for a second about all of the potential hazards nurses face during the course of their employment. 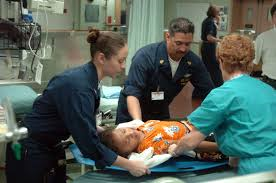 Lifting patients, having patients pull on the nurse, falls due to hazards in the room such as wet floors, and the strain of bending over numerous times to care for patients are all substantial risks for nurses. Amazingly enough, nurses suffer back injuries at a higher rate than construction, mining, or manufacturing workers! The Centers for Disease Control and Prevention has released numerous studies supporting this claim. When it comes to nursing staff who have more direct patient contact, such as orderlies, Licensed Practical Nurses or Certified Nurse’s Aides, the incidents are even higher. Unlike a registered nurse, orderlies, LPNs and CNAs do not have the ability to perform light-duty work. Their essential job functions require them to be able to lift patients. The practical effect is that when a nurse suffers a serious enough back injury, oftentimes they can no longer be the employed in that same line of work. Not only will they have a significant loss in immediate income, but they will also lose paid time being retrained into an area of nursing that does not require patient lifting or, sometimes, into a new industry altogether that would not expose the worker to further back injury. From a Workers’ Compensation perspective, back injuries frequently result in the injured worker having a permanent partial disability. For nurses who are unable to be retrained, the damages to the wage capacity of the nurse are profound. Not only will the nurse have in excess of 560 weeks of compensation due to be paid to the New York Aggregate Trust Fund (ATF) at the time of classification for a permanent disability, but the employer is also responsible for the nurse’s lifetime medical expenses arising from the back injury. The medical costs for a back injury can skyrocket over the course of time. 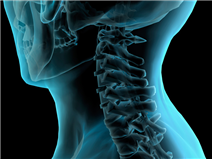 When there is an injury to a specific level within the spine, oftentimes the levels adjacent to that level eventually wear and require treatment as well. This can have the effect of increasing the classification rate and the additional exposure of the cost of that medical care. One estimate from the CDC in 2009 put the cost of back injuries to healthcare professionals at $20 billion dollars annually. As most people are aware, the demand for nurses remains at an all-time high. By implementing these safety precautions, hopefully the industry can keep some of its most valuable assets. Retraining injured healthcare professionals may be the best way to keep the person productive in the field, ease the need for qualified nurses and to increase the injured worker’s earning potential. I also believe that the healthcare facilities should be encouraging strengthening of back muscles and flexibility by offering free gym memberships or classes in their facility to facilitate prevention of back injuries. From a cost perspective, the potential for back injuries would be reduced from this ounce of prevention. The National Institute for Occupational Safety and Health (NIOSH) has had numerous studies to attempt to limit the occupational back injury exposure to nursing assistants, aides and orderlies. http://www.ncbi.nlm.nih.gov/pubmed/8728153. Frequently, there is no specific incident that causes the back pain. The injured worker may not even realize that his or her back pain is work-related. When a nurse is suffering back pain, he or she should not only contact an orthopedic doctor, but should also contact an attorney for consultation on whether the injury may be compensable under Workers’ Compensation laws. The law imposes strict deadlines on claimants. If the healthcare professional does not have his or her case pursued correctly from the beginning, the professional may not be able to bring the case later. If you are a nurse and suffered back pain as result of your employment or a work injury, please contact an attorney near you to discuss bringing a Workers’ Compensation case. This article is brought to you by the Snyder Law Firm, PLLC and authored by David B. Snyder, Esq., an attorney with over ten years experience in Workers’ Compensation Law. The Snyder Law Firm, PLLC located at: 6876 Buckley Road, Syracuse, New York 13212. The Snyder Law Firm represents clients throughout the Central New York region at the New York State Workers’ Compensation Board. This article constitutes attorney advertising and is not intended to provide professional advice concerning specific Workers’ Compensation Claims. Recently I have had a couple of cases where an employee who was receiving tips was injured. I think it is the custom and practice of the industry to not claim tips in an effort to increase take home pay. Obviously, there are consequences for this from a tax perspective, but from a Workers’ Compensation case perspective, the consequences can be just as bad financially. So what happens when you do not claim your tips? First, you are avoiding paying taxes in the short-term, but your likely overall tax exposure is probably relatively low. I am not a tax attorney and cannot advise exactly how much exposure you would have, but there would be some exposure associated with not claiming all of your tips. More importantly, from a Workers’ Compensation perspective, having tips claimed increases your average weekly wage. If you are injured and are missing time from work, the calculation for how much you were making per week is based on what you are actually claiming. If you are claiming the minimum and had been making substantially more, you would only received what you claimed. Recently I had a client who was a waitress and had been claiming $350 of wages per week. Her actual income was closer to $500 per week. By not claiming that $150 per week, her compensation rate for the time that she was out of work was reduced by $100. When she returned to work, her reduced earnings claim was greatly diminished. And when it comes time for permanency, even at a moderate rate, she will end up losing between $3,000 and $25,000. What advantage did she gain by not claiming the tips? While she was employed, she had additional cash available for bills. More than likely though, at the end of the year, she would have likely received an earned income tax credit for the majority of her claimed wages and tips. I would advise tipped employees to consult with a tax professional to determine exactly what their total exposure would be for claiming all tips. There was also an informative article about the industry tax exposure posted by Siobhann Kathleen Williams, CPA on the following website: http://www.restaurantowner.com/public/342.cfm. The consequences for not claiming the tips however were much more dire and ended up reducing her payments making it very difficult to pay bills while out on workers compensation. Workers’ Compensation is insurance against getting injured on the job. The basis for recovery is not only how badly you are injured, but how much you were making at the time you were injured. By not claiming all of your income, you reduce how much you will receive when you are injured and increase your financial burden when a catastrophic event occurs. When it comes time to make a claim for workers compensation, more often than not, you will wish that you had made the claim for tips and not the minimum as your coworkers will likely suggest. Why would you reduce coverage for one of the most important insurance policies you have available? This blog has been brought to you by the Snyder Law Firm, PLLC. Please visit our website at www.Syracuseworkerscomp.com. How many car accidents are there in New York yearly? The New York State Department of Motor Vehicles maintains records for the number of motor vehicle accidents in New York. In New York there were 307,550 crashes in 2011. These crashes resulted in 1,153 fatalities and 177,445 persons injured. These are staggering numbers. Every time you drive, your safety is at risk from drivers who are driving distracted, driving imprudently or driving recklessly. When is the most dangerous time to drive? These statistics are further broken down by days of the week and even hours of the day. The most dangerous time to drive, perhaps not surprisingly, Friday rush hour when there were 11,978 accidents. As measured in fatalities, the most dangerous time is Sunday between 3 am and 6 am when there were 35 fatalities. This information was brought to you by the Snyder Law Firm, PLLC, serving Central New York. There are few things that can be more financially catastrophic than if you are hit through no fault of your own by motorists who is not adequately insured. Oftentimes, the minimum insurance does not begin to cover the amount of damage that you can sustain in even the most minor of accidents. According the the New York State Department of Motor Vehicles, in 2011 alone, there were over 307,000 car accidents in New York State resulting in 128,000 accidents with injuries. In order to protect yourself in this situation, I recommend that you contact your insurance company or an insurance agent to discuss obtaining SUM coverage. SUM coverage provides extra insurance above and beyond your own insurance in the event that the driver who was at fault was not adequately insured. This coverage, while somewhat pricey, will provide you relief in the event that this unfortunate circumstance happens to you. The number of drivers who carry minimal insurance makes up the vast majority of drivers. So in the likely event that you are hit by another vehicle through no fault of your own, and you are seriously injured, the driver who hit you will likely have the minimum insurance. As you can imagine, $25,000 to not go very far when it comes to making up for your lost wages and pain and suffering. The chart below gives you the amount of insurance per person and accident that the states minimally require. If you are seriously injured in a car accident in New York, please feel free to contact me if you have any questions. State Liability limits (in thousands of dollars) Uninsured/Underinsured motorist coverage required? cannot be considered a legal opinion of your case / inquiry. Unless I am retained in a matter and have completed a full investigation of the underlying facts and law, I cannot give an opinion on which to rely. Furthermore, unless your matter concerns New York law, I am not licensed to practice or give specific legal advice in your state. The 10 most important steps to take to protect yourself when you have a work injury under Workers Comp Law in New York. Have you had an injury at work in New York? If you’re reading this, and you believe that you are entitled to Workers’ Comp, then this list is intended to give you some instruction on how to proceed with your claim. If you have a high risk job, then these are good things to keep in mind in the event you or a friend has an injury at work. Seek medical attention. If your injury is serious enough, don’t worry about the telling your boss, they will know. Your health is the most important thing you have. For instance, if you think you’re having a HEART ATTACK – CALL 911! Trust me, your life is worth more than the $50,000 potential death benefit your family will receive if your job causes your death. If you can communicate that the injury happened at work, then be as detailed as possible when the pain started. Keep written records. Follow up with written notice and keep a copy. Just to be safe in the event your employer does not take the necessary steps to ensure that the Workers’ Comp carrier is covering your injury. If your employer does not turn in the paperwork to the Workers’ Compensation Carrier, then this will be your proof that you timely gave notice. Report your injury to your healthcare provider. Follow up with your primary doctor and request a referral for the best physician for your injury type. As a general rule, any time you are seeing a doctor for your injury you should remind them that you are seeing them for a workers compensation case. If this is the first time that you are reporting an injury, then your physician can file a C-4 form to report the injury and get your case started. Ask to see your medical reports to make sure that your injury and causation is described. If the description is not accurate or is missing information, ask you provider to correct it. If the injury is an occupational disease, then your doctor’s report will likely be the first report of the injury. Seek the advice of a workers comp attorney. In New York, Workers’ Compensation attorney fees are set by the Workers Compensation Law Judge. Attorneys generally make less than 15% of money moving to the claimant. When compared to the 33% fee for personal injury matters, this is very reasonable. You do not pay your lawyer directly out of your pocket. In the event you claim is disputed, it is far better to have an attorney who is experienced handling your case than proceeding pro se. Even when your claim has been accepted, the carrier can make mistakes in the calculation of your average weekly wage, time calculations and degree of disabilities. Oftentimes, the lawyers provide enough added value to more than make up for the lost income. File your claim with the New York State Workers’ Compensation Board. The statute of limitations for filing a New York Workers’ Compensation Claim is 2 years. If you don’t receive compensation forms from the carrier indicating that your claim is accepted, then you may be in for a fight. If you believe that you are anywhere near the statute of limitations, you should file a C-3 form to report the injury to the Workers’ Comp Board. Keep a calendar/diary. Buy a small calendar book and keep your Workers Comp appointments in one place. You can write the date of your injury, the time you gave notice, court dates, doctor appointments and physical therapy times in one spot so that you can reference it in the future if necessary. * Remember you are entitled to reimbursement for your mileage, so by keeping the diary, it will give you another place to keep the information. The form for reimbursement is C-257. Maintain evidence of disability. Make sure you have medical evidence of your disability every 90 days. Your treating doc should know this and schedule you accordingly. If you don’t have evidence of disability, the carrier can cut your payments off. Do not give them an excuse to stop your payments by keeping your doctor’s appointments at least every 90 days. work. Your employer may not have work within your restrictions, so you may have to look for work outside of your employer. You also have to keep track of your efforts. C-258 is the form you have to provide. VESID is a great resource to help you find a job. You also may want to be careful around the house that you are not doing personal work outside of your restrictions because the carrier could have surveillance placed on you to attempt to prove that you are committing fraud. I don’t believe that you are necessarily committing fraud by overexerting yourself, but you may be playing a dangerous game. You may be entitled to a lump sum payment. You may be entitled to a monetary award once you reach maximum medical improvement for some injuries. This does not usually occur until one year after your injury or surgery, but this is something to keep in mind and to discuss with your physician and lawyer. Attorney Dave Snyder maintains his practice in Syracuse, New York where he concentrates his practice in personal injury including New York Workers’ Compensation Law. If you have questions about a work related injury, please feel free to call Dave Snyder at 315-451-3040 or visit him at his website at www.syracuseworkerscomp.com. Copyright 2013. Workers Compensation Law Section 18. The failure to notify your employer timely has been confirmed by the Appellate Division 3rd Department to be prejudicial. There is good news for injured workers in New York. If you have a work accident or are diagnosed with an occupational disease after July 1, 2013, the maximum possible benefit, which is linked to the Average Weekly Wage is receiving a slight bump. Benefits for both total and partial disabilities will increase from $792.07 to $803.21 under the New York State Worker’s Compensation law as of July 1, 2013. It is of course the job of the New York legislature to set the maximum compensation rate. Over the last several years the average weekly wage has slowly been increased. Before 2007, the last average weekly wage increase occurred on July 1, 1992. At that time the average weekly wage maximum total rate was raised to $400. It stayed at that rate until June 30, 2007, before it was raised to $500. If your date of injury occurred after July 1, 1992, the chart below will give you the information necessary to determine what your benefit rate is for a total and partial disability under the New York State Workers’ Compensation Law. For further information about filling your Syracuse Workers Comp Claim, please do not hesitate to contact me. When is the most dangerous time to drive in New York? How many car accidents are there in New York every year?